Since having our MT Push we've been able to enjoy getting out and about in the countryside as a family. 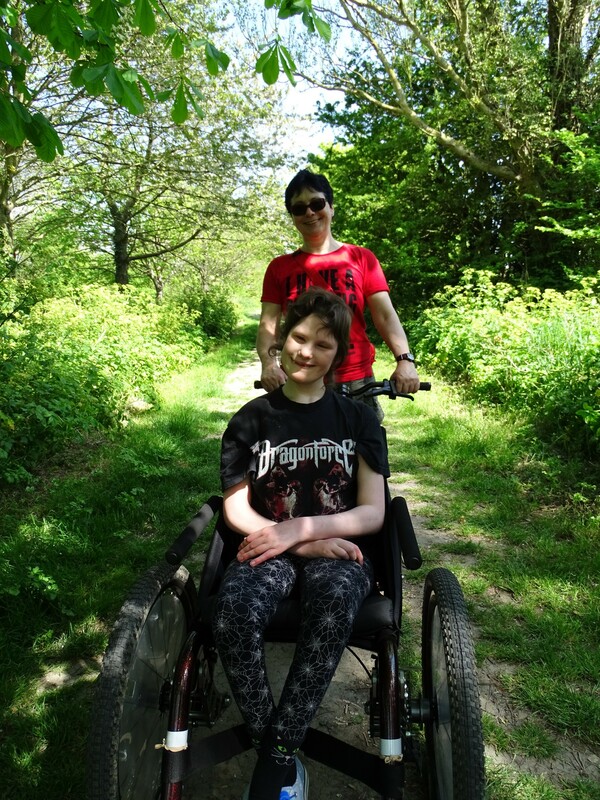 We used to go on many walks with Alice in her ordinary wheelchair, but the MT Push makes it sooooo much easier! We can now experience new places with much tougher terrain - off-road places are now accessible thanks to the MT Push. The push handle located behind Alice is so easy to use and where the steering and braking is done. This was the toughest walk and would have been impossible with the ordinary wheelchair or our previous off-roader.